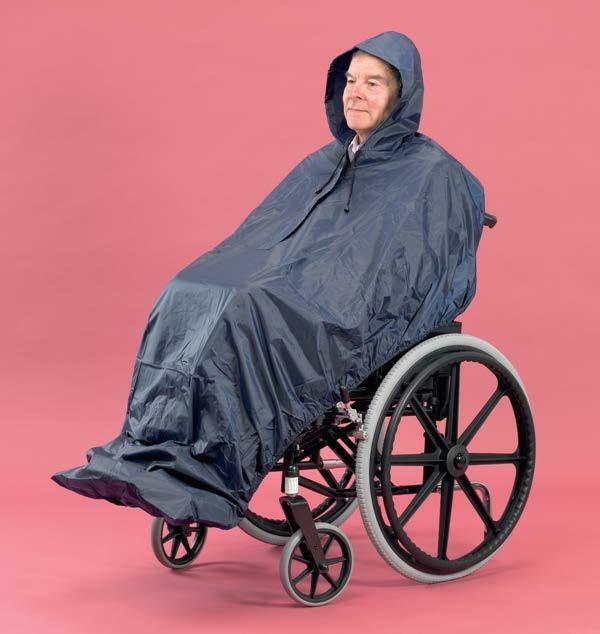 The slip over Wheelchair Poncho is a super easy option to provide instant protection against unexpected weather conditions for the user and their wheelchair. 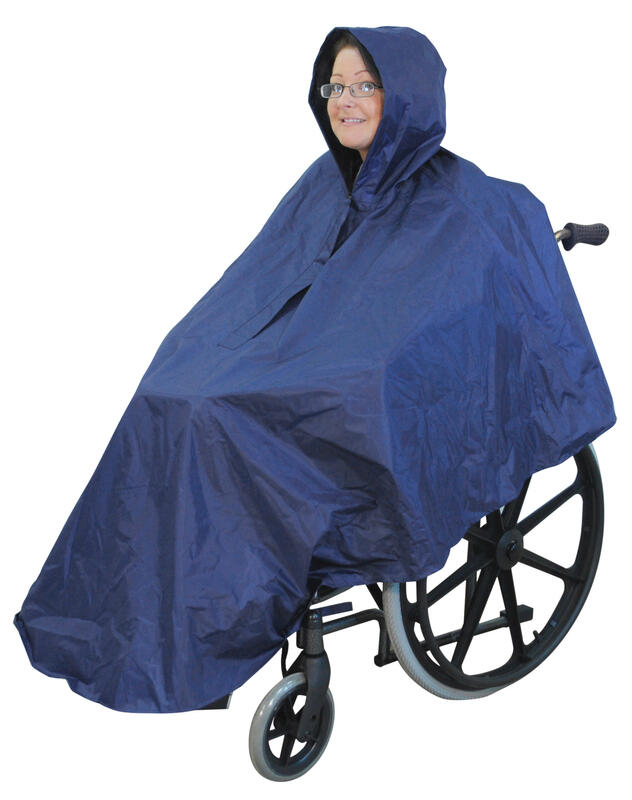 Comes with a neckline zip, a drawstring hood for a snug fit but with added benefit of the extra length at the front which helps cover and protect the legs and the wheelchair. 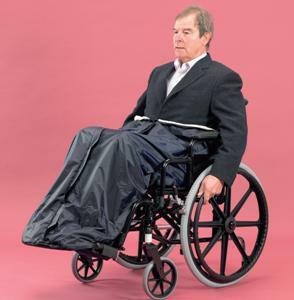 A great wheelchair accessory it also comes with slots at the back for the push chair handles to fit into. 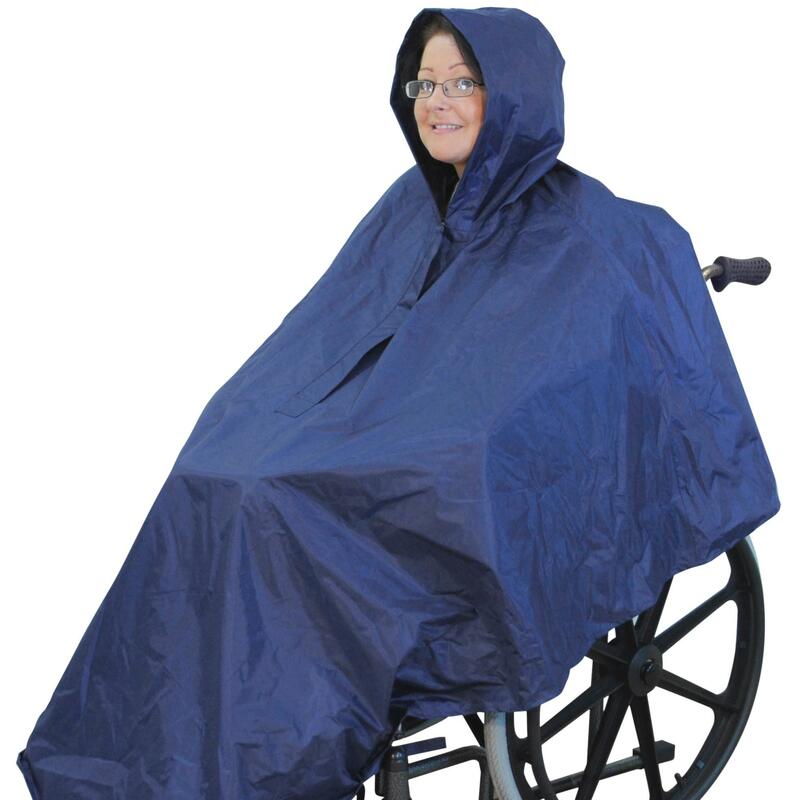 This wheelchair poncho is 100% waterproof with taped seams for extra protection and is sized to a universal size for both male and female users. 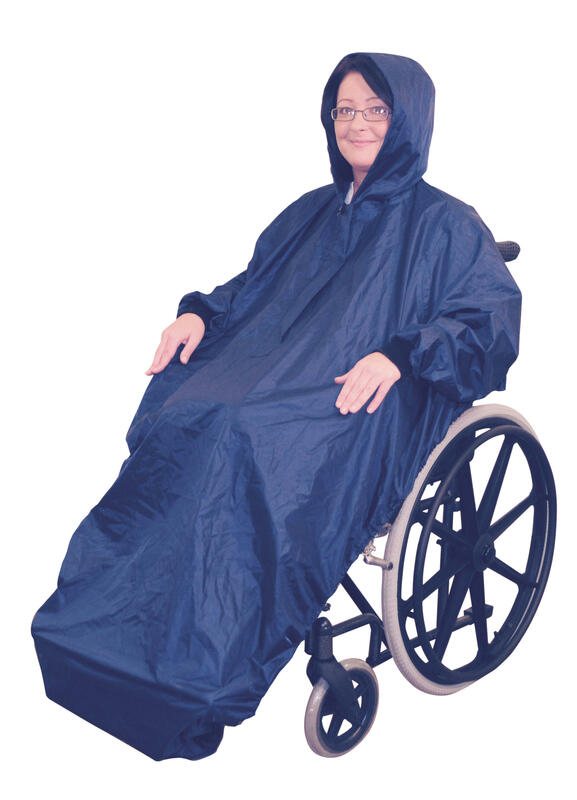 A super lightweight garment fully machine washable at low temperatures at an affordable price.